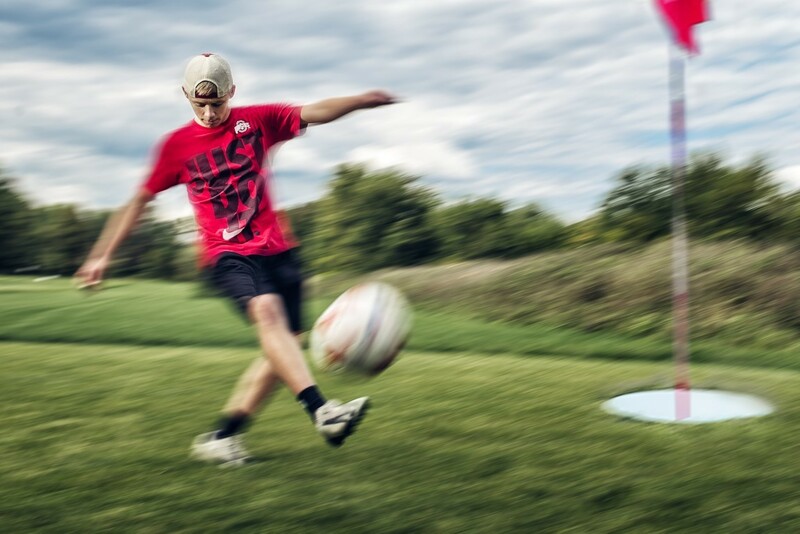 ﻿ Kickmaster Footgolf - Ohio. Find It Here. Kickmaster Footgolf is the first dedicated footgolf course in the U.S. Never heard of footgolf? Its just like golf, but played with a soccer ball and your feet instead of a golf ball and club. Kickmaster Footgolf also includes an indoor soccer themepark available for rent and able to accommodate soccer, baseball, and football training. A golf simulator, along with various meeting spaces are also available for parties, weddings, team building and more!